100 mm wheels, a comfortable, original K2 soft boot and an incredibly stable cuff. These three aspects describe the new radical 100 best! The carbon fiber sole plate reduces weight and by the low-cut cuff creates a lot of movement. 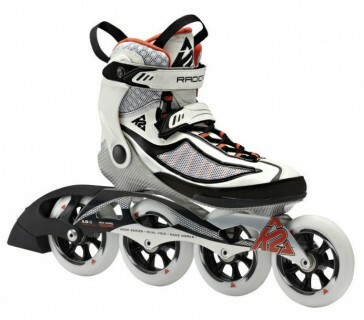 Because of the original K2 soft boot, the skates can be worn for several hours comfortably.